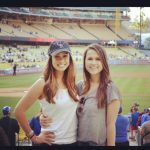 Who is Marcus Stroman’s Girlfriend? 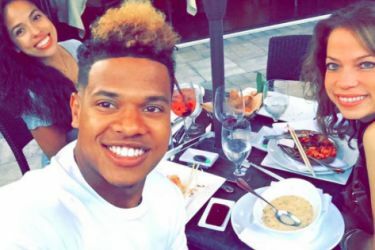 Marcus Stroman’s girlfriend apparently doesn’t exist yet. She has probably existed in the past (unless Marcus has never dated before; which I doubt), but now he appears to be a single guy. 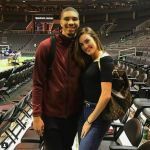 According to a shady internet forum, he had a girlfriend last year at some point, but that looks like it’s over and he’s living the life of a professional athlete, meaning he’s on the single and ready to mingle. Hey, what’s not attractive about this lifestyle of being a well-paid, semi-famous athlete? 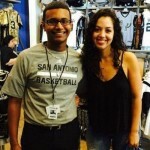 You get to be like, “Hey I play sports professionally, make good coin, and you can see me on tv.” That’s awesome. 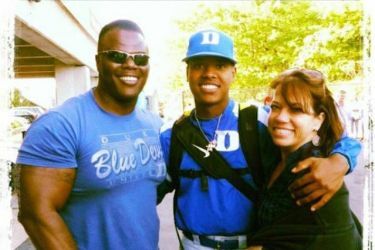 Well, since Marcus Stroman’s girlfriend isn’t official right now, we’d like to turn your attention to Marcus Stroman’s father, Earl Stroman. 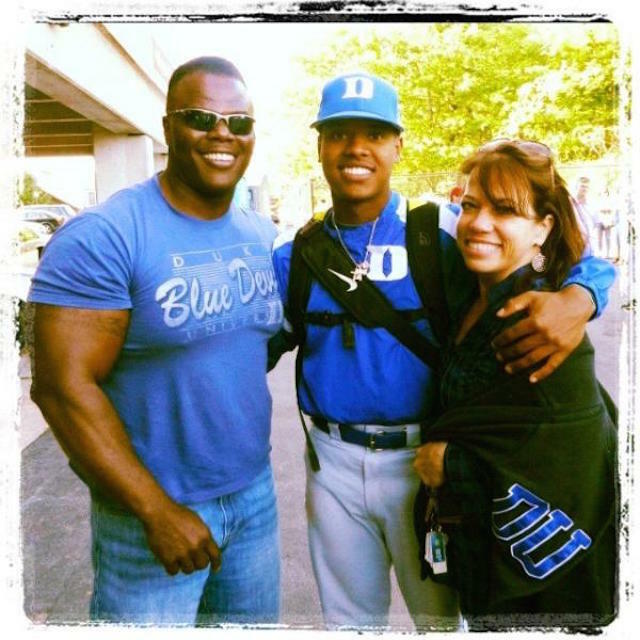 Back in 2012 when Marcus was still playing for Duke, a picture was snapped of him hanging out with his mom and dad, and people started to take notice about how huge and jacked his father is. Then, we found a recent picture of Earl with his family, and again the guns on display by Mr. Earl Stroman are extremely impressive. 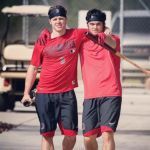 Even Earl mentions in the photo: “Yes, my dad’s work ethic in the gym is second to none.” Papa Stroman has got a chunk of time dedicated to working out every day, it seems! The guy looks like a power-lifter. 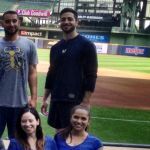 It should be noted that Marcus hangs out with his family and his mom a lot, and I should also tell you that his sister is very attractive in her own rite. 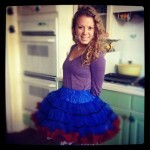 Here name is Sabria, and she works at school doing speech therapy. 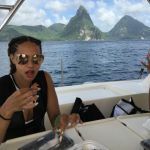 Alright, so we’ve established Marcus Stroman’s girlfriend is nowhere to be found, and it’s probably worth mentioning that when he tore his ACL during a bunt drill earlier in the year, he decided he’d go back to Duke and work on his degree. That included three classes in the spring and two in the summer. The plan was to finish with a degree in Sociology and a minor in Markets and Management studies. I don’t know how that will help him specifically in his life, but it’s nice to be able to say that you have a college degree. A few internet forum users called him names, and I’m not going to speculate on what particular types of interactions they had with him (although I have a few guesses), but he’s going to finish his college degree so it looks to me like he’s got his head on his shoulders. 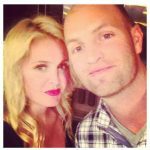 Is Marcus Stroman’s girlfriend Hildy Hahn Donner?